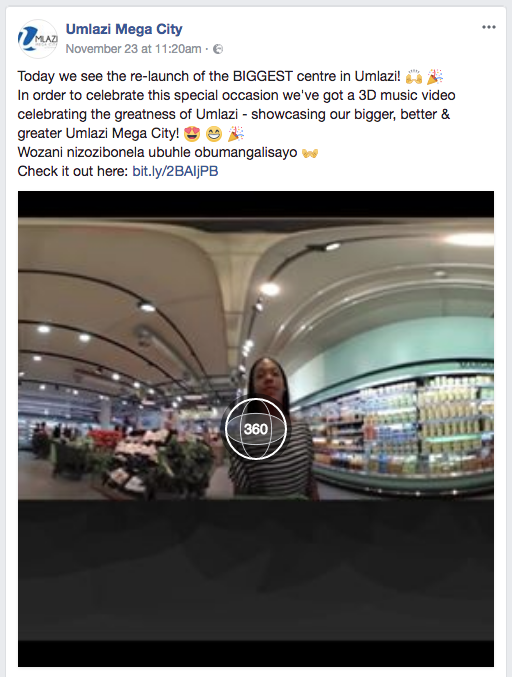 Umlazi Mega City is the LARGEST mall in the 4th BIGGEST Township in South Africa! In November 2017 the BIGGER & BETTER Umlazi Mega City Relaunched with 170 stores, 1,400 parking bays plus new & larger taxi ranks. 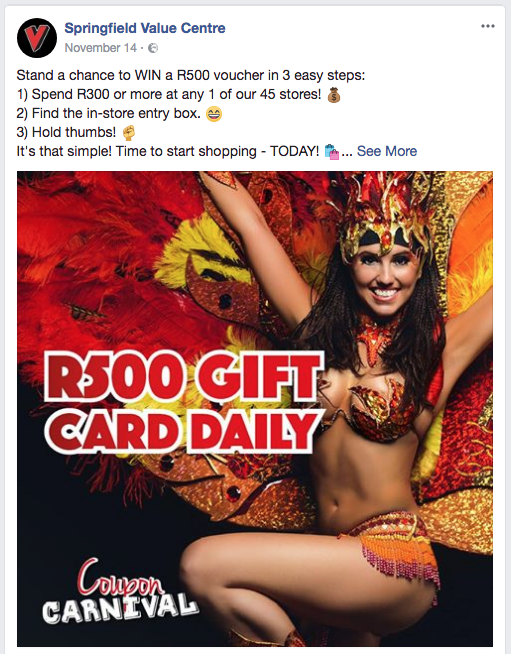 The shopping centre hosts 1,3 Million shoppers per month and offers a wide variety of experiences for its customers, primarily serving the local community of Umlazi and Lamontville. 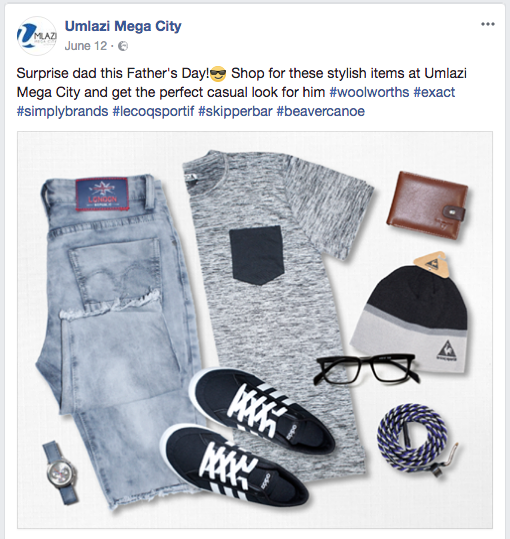 Since the start of working with Umlazi Mega City, we have increased Facebook page Likes by 674% & Total Reach of content by 236%, through our engaging content marketing, creative media services, & creative designs for Umlazi Mega City campaigns. Springfield Value Centre boasts BIG international brands with excellent value for money, all in one KZN location on Umgeni Road. The shopping centre hosts 46 Million shoppers per month, offering over 45 stores and 400 FREE parking bays, it is not surprising that Springfield Value Centre is known as a great shopping experience for all! 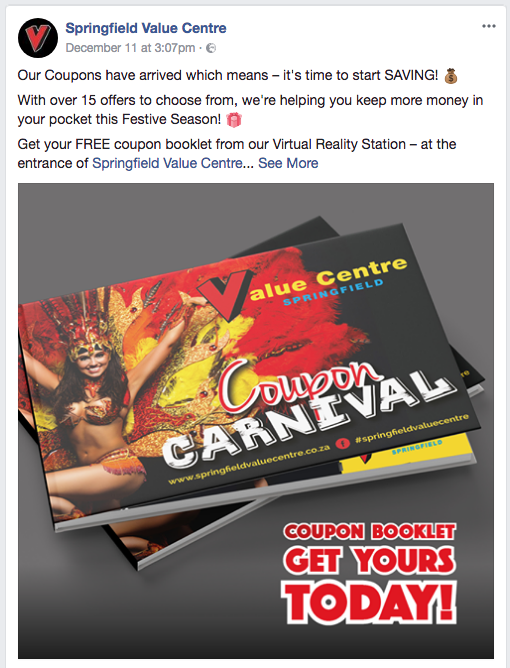 Since the start of working with Springfield Value Centre for the Coupon Carnival Campaign, we have increased Facebook Page Likes by 1070%, Total Reach of content by 276% and decreased the Response Time from 5days to 4hours, through our engaging content marketing, creative media services, prompt and engaging social responses and creative designs. 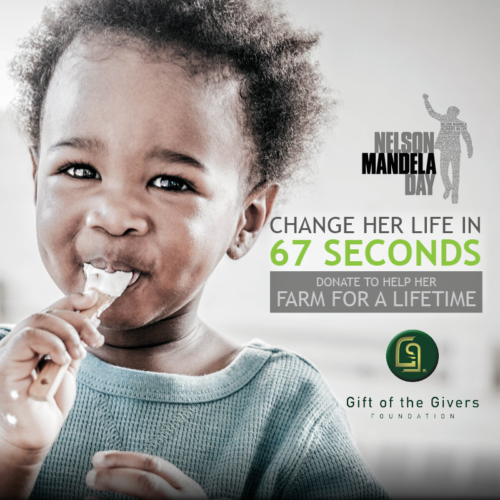 Farm for a Lifetime was launched on Mandela Day, with the intention to change the lives of communities and their children, for a lifetime! The project aims to raise funds by means of donations from the public & businesses, to support and empower two farms; one in Gauteng, the other in KwaZulu-Natal. SA Corporate Real Estate partnered with Gift of The Givers to make a success of this life-changing initiative. Since the start of the campaign, we have secured 220 Facebook Page Likes, 649, 400 Total Reach of content with 2,145 consistent engaged users through this period. In contribution to the donations, we secured two major business donations of R2,500 each from Belgotex Floors & JAM Clothing.